ARRI has announced the availability of the new Software Update Package LF SUP 3.0 for their top-dog ARRI ALEXA LF 4K+ camera. LF SUP 3.0 provides new features, as well support for new hardware, such as the brand new ALEXA EVF-2, and includes important bug fixes. Although free of charge, LF SUP 3.0 is a major update and is not performed by the end user as it requires the installation of a new electronic board (ACDA4) in the camera that is to be performed by an ARRI Service Center. 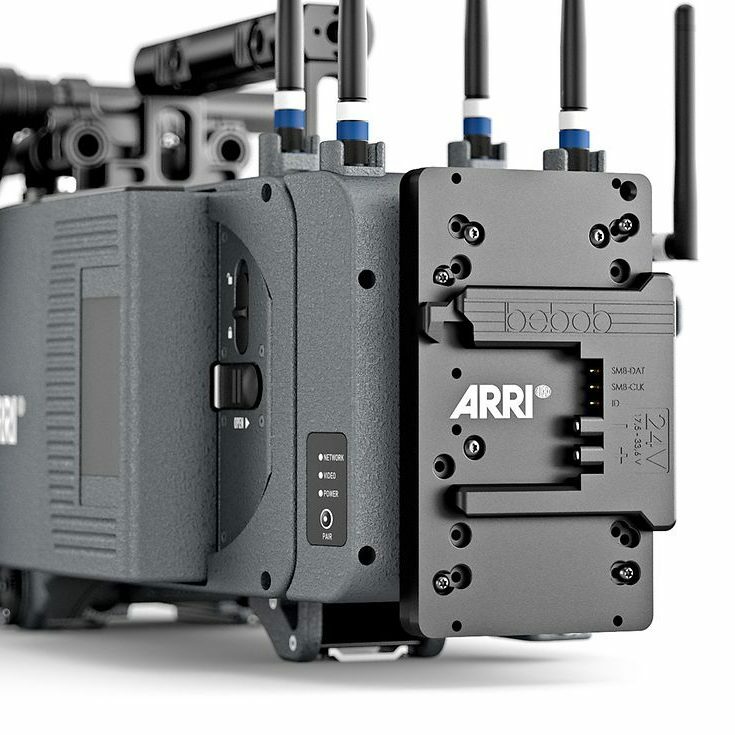 Existing ALEXA LF cameras running LF SUP 2.0 or LF SUP 2.1 can be updated from ACDA3 to ACDA4 and from LF SUP 2.0/2.1 to LF SUP 3.0 by all ARRI Service Centers, free of charge. This is also the reason why you won’t be able to download the LF SUP 3.0 from the ARRI website. 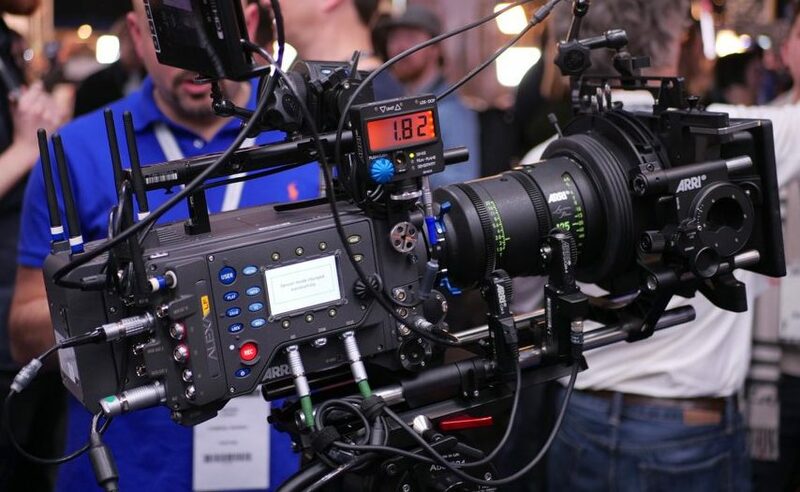 If you are a rental house or production company that owns an ALEXA LF you should contact your closest ARRI Service to schedule an appointment and get the update. Newly manufactured ALEXA LF cameras will have the new board and LF SUP 3.0 installed before they ship to customers. LF SUP 3.0 will not run without the new board, nor will it be possible to downgrade back to LF SUP 2.0/2.1 after you upgrade to LF SUP 3.0. The ALEXA LF gets a new EVF-2 viewfinder, which may have a very similar design to the EVF-1 predecessor, but of course comes with many improvements. It maintains its predecessor’s proven robustness, reliability and ergonomics, the EVF-2 is equipped with a new display with 1080p resolution and higher contrast, improving the operator’s ability to judge focus and dynamic range. 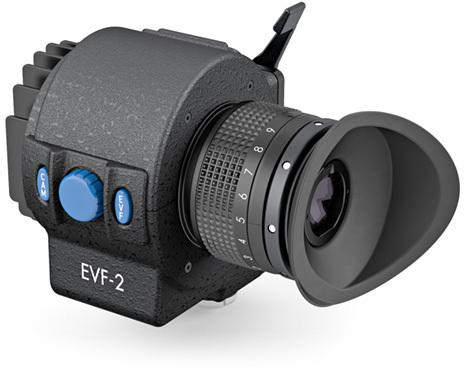 The display in the old EVF-1 has been discontinued, which required ARRI to make a new viewfinder for the LF, carrying the very ARRI-esque name – EVF-2. The EVF-2 also gets a new glass eyepiece based on the ARRICAM design for a cleaner image which is free of distortions; allowing for greater freedom of movement for the operator through a wider exit pupil. 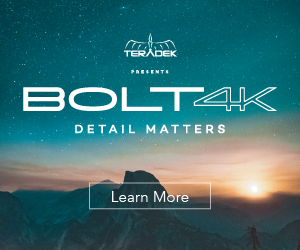 The latest ARRI colour science is included, which gives more accurate colour rendition, a better match to on-set monitors, and a stable colour balance at all display brightness settings. 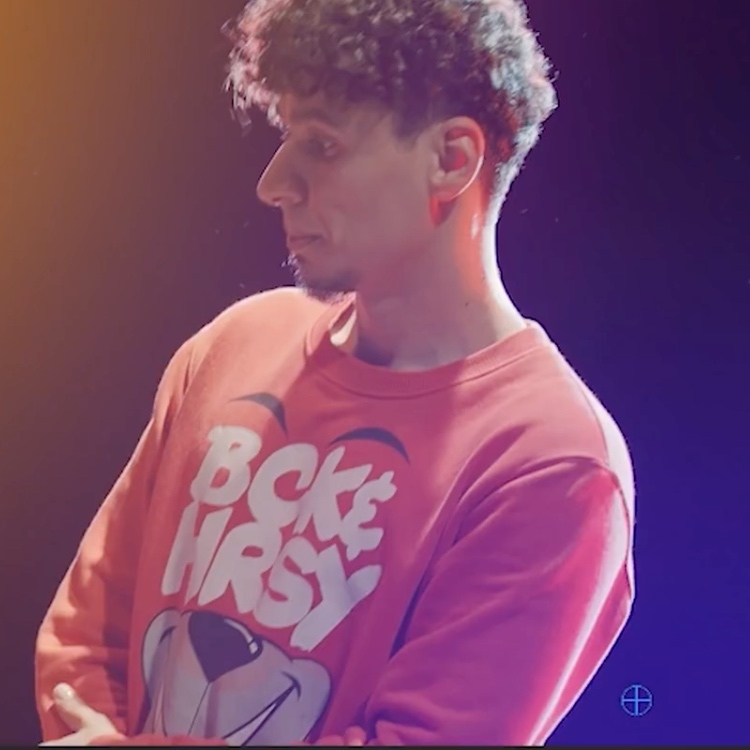 For those who use EVF-1 and EVF-2 on the same set, an “EVF-1 gamma” setting emulates the EVF-1 tonality. The new Magnification feature sets a magnification (100% to 200%) for each of the four monitoring outputs paths (EVF and MON OUT 1, 2 and 3) individually, so the intended target image can be as big as desired on EVF and monitors. This is because some combinations of frame-line/sensor mode lead to a smaller image on the viewfinder or MON OUT. The EVF-2 requires ALEXA LF Software Update Packet LF SUP 3.0. All ALEXA LF cameras shipping from availability of LF SUP 3.0 onwards will be delivered with the EVF-2. ALEXA LF cameras with LF SUP 3.0 are compatible with EVF-1 and EVF-2. 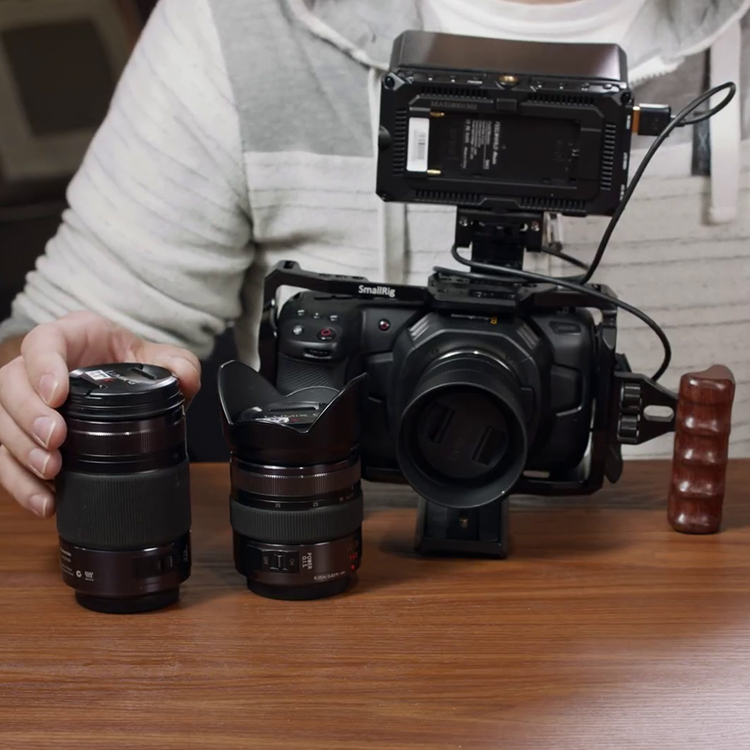 A hardware upgrade from EVF-1 to EVF-2 is not possible; however if you have an ALEXA LF with the older model EVF-1 you can trade-in your EVF-1 and get the new EVF-2 at half list price. 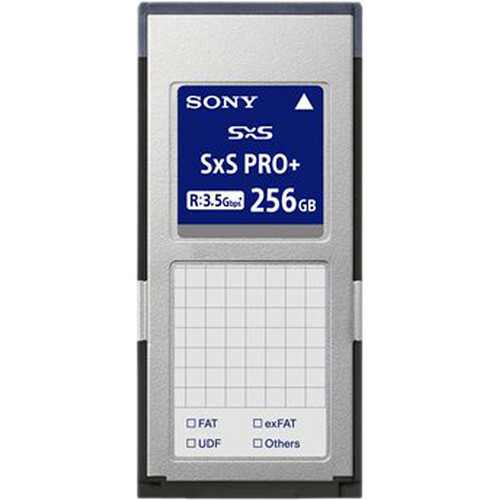 ALEXA LF SUP 3.0 fully supports the latest Sony SxS PRO+ 256GB cards (SBP-256D, SBP-256E) cards for ProRes recording, not ARRIRAW. 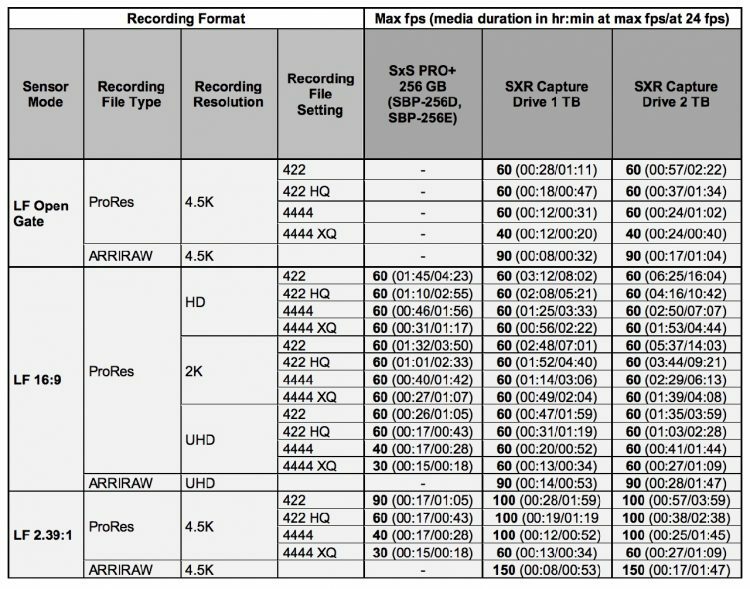 In order to record ARRIRAW you’d have to use SXR Capture Drives. To read more about SUP 3.0 for the ALEXA LF head over to ARRI.